Enjoy the best of Scotland, with access to the best scenery of the Highlands and the history-rich cities of Central Scotland. 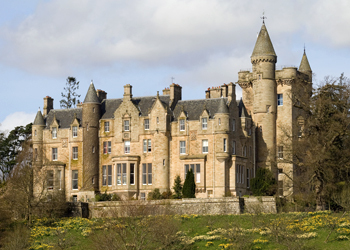 One week each in personally selected, private apartments in the area around Inverness and Stirling. Suggestions for booking your international flight from the U.S. to Edinburgh. Transfer assistance on arrival there. Transfer assistance for airport arrivals and departures to and from Edinburgh and Inverness. A guidebook for Scotland, driving map, and further information on-site. A local cultural event with our local staff person in each place. Transit assistance between Stirling and Inverness.